One lucky winner made Party Casino history this weekend, scooping the biggest jackpot ever recorded on the site – a whopping $7,525,851! 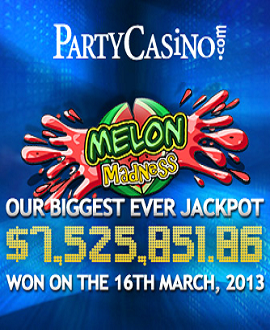 The winner, an amateur poker player, was attempting to qualify for the Montreal World Poker Tour event on Party Poker when he caught sight of the Melon Madness jackpot slot game on Party Casino. On a whim, he decided to play on the five-reel, thirty-line slot and in an instant he hit the $7,525,851.86 jackpot with only a $3 bet! This single win would put the amateur poker player and married father of three in 12th place on the all-time list of World Series of Poker money winners – or to put it another way, outstrip poker legend Phil Ivey’s entire WSOP career winnings! This awesome $7.5million jackpot breaks the previous PartyCasino record of $4,978,336 which was won in December 2009 and brings the total number of Party Casino made dollar millionaires to twenty-two. 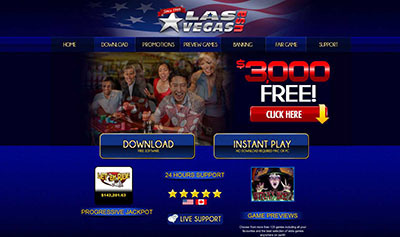 Party Casino exclusive Jackpot games pay the best jackpots online. ‘The Big One Colossal Cash’ jackpot has been instantly replenished and can be won by playing Melon Madness and other entertaining games such as Going Nuts, Snow Business and Loot’EnKhamun. 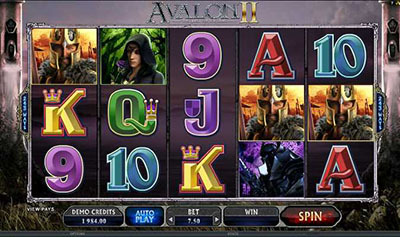 The exclusive jackpot is already at more than $1.5million, and growing by the second. New customers can currently get a bonus of 100% extra, up to $750, on the sum of their first four deposits. Visit Party Casino for further terms and details.